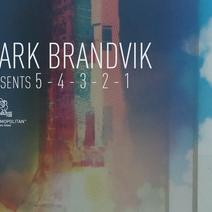 Mark Brandvik received his Master’s of Fine Arts at the University of North Carolina at Chapel Hill in 1998 and his Bachelor’s of Fine Arts at the University of Nevada, Las Vegas in 1996. He has been featured in solo and group exhibitions throughout the United States, Canada, and Europe including Top Ten Now Los Angeles and VOLUME CONTROL at VAST Space Projects in Las Vegas, where he now resides. The recipient of several grants and commissions, Brandvik’s work is found in many private, public and corporate collections. In addition to his art practice, Brandvik has been teaching art at the college level since 1997.His work was recently acknowledged in Las Vegas Weekly: Best of 2014 for Narrative Sculpture.